BACK IN CHARGE: TT Cricket Board president Azim Bassarath will be serving his fourth term after he was re-elected at the TTCB elections yesterday in Balmain, Couva. AZIM Bassarath was yesterday re-elected for his fourth term as president of the TT Cricket Board, after elections were finally held at the National Cricket Centre, Balmain, Couva. Bassarath defeated his only challenger Dinanath Ramnarine 31-13 and will control the TTCB for the next three years. 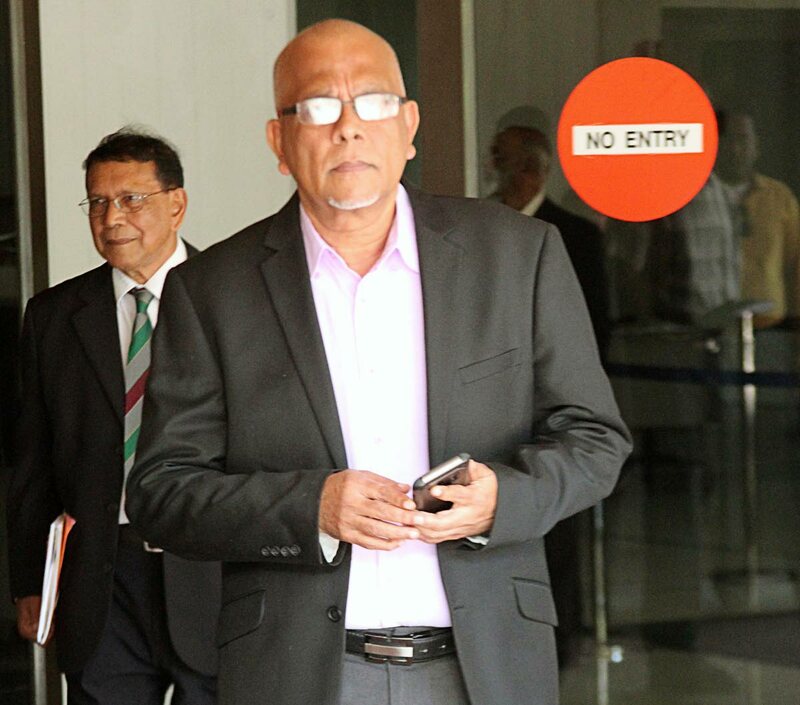 The elections had been hold since October 2016 owing to an injuction, as several National League representatives took the TTCB executive to court. Ramnarine and former TT captain Daren Ganga have been battling with the TTCB over the last few years over the board's constitution and its operations. The pair has been advocating for a one club-one vote policy, term limits for the president and the removal of 12 outgoing votes enjoyed by the incumbent. In other election results yesterday, Arjoon Ramlal, Kerwin John and Parasram Singh were voted in as first vice president, second vice president and third vice president respectively. They all went up unopposed. Th trio replaces former 1st vice president Dr Allen Sammy, Lalman Kowlessar (second) and deceased Patrick Rampersad who was the third vice president. President of the Secondary Schools Cricket League Surujdath Mahabir was voted in as general secretary with a 23-20 win over Anil Kamal. The victory by Bassarath comes on the heels of allegations of the misuse of funds within the TTCB. Six months ago, a National Gas Company audit showed that almost $3 million was not used in accordance with the MOU between TTCB and former TTCB sponsor NGC. Over the last two weeks, a PWC audit suggested former SporTT director Imran Jan tried to approve funds beyond his limit to the TTCB. It was also alleged Jan was promised a job as Red Force assistant coach if he approved funding. Bassarath remained silent this past week amid the criticism and calls to his cellphone were not answered. However, he still rallied his support to assume control once again. Speaking to the media after his loss yesterday, Ramnarine said it was a sad day for cricket. Bassarath had not spoken to the media up to press time yesterday but was expected to address the new executive and the media. Reply to "Azim remains not out"